This was our camp spot up on Smith Mesa and my view was a few yards from my trailer. It’s one of my favorite places, overlooking the entire Zion Valley. I come here every year or so to relax and get images that due it justice. This year I took home two, this one, and a spectacular panorama that we’ve not finished yet. I’m ecstatic since this not an easy area to get the right conditions in. This is a unique combination of sunset light and visible stars. It’s the real thing, exposed for around 30 minutes just after sunset. Processing: Lightroom 4, Photoshop, Seim Effects tools. 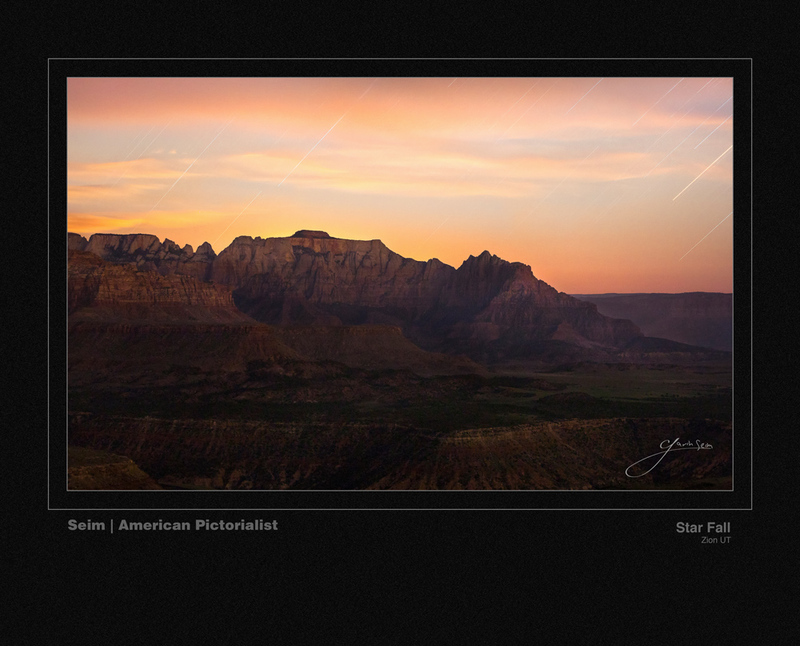 This entry was posted in beauty, color, f164, Fine Art, journal, National Park, signature and tagged amazing landscapes, f164, gavin seim, long exposure photography, star trails, sunset, zion, zion national park. Bookmark the permalink.